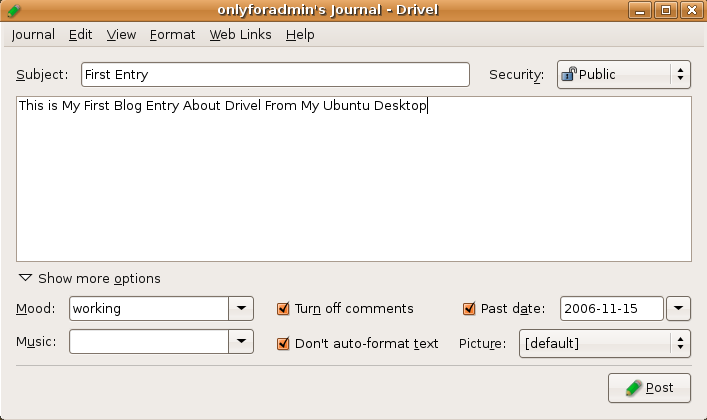 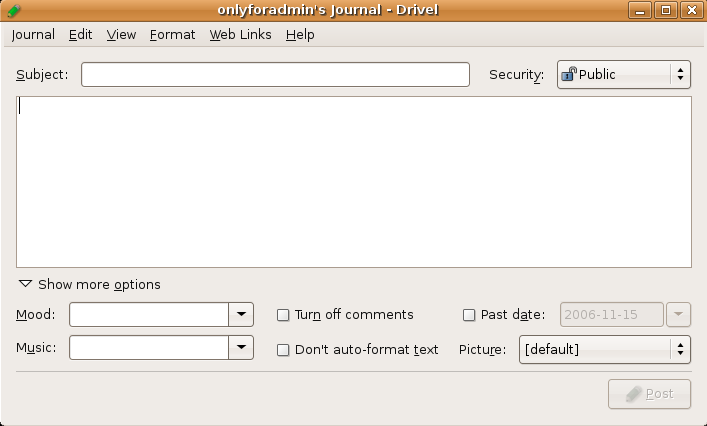 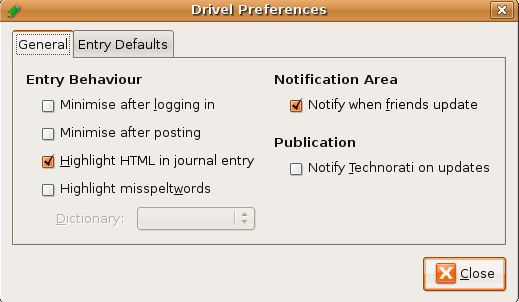 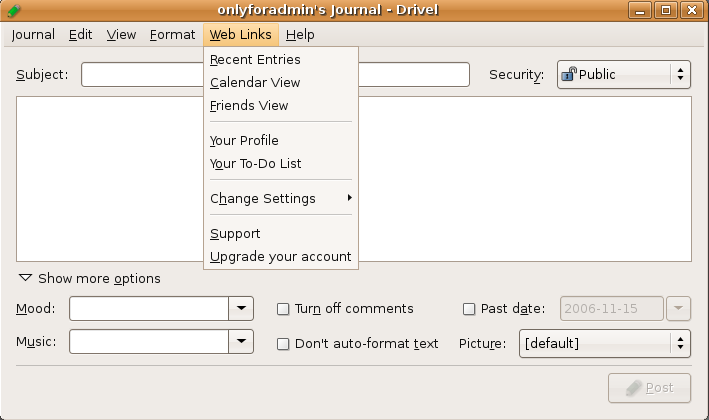 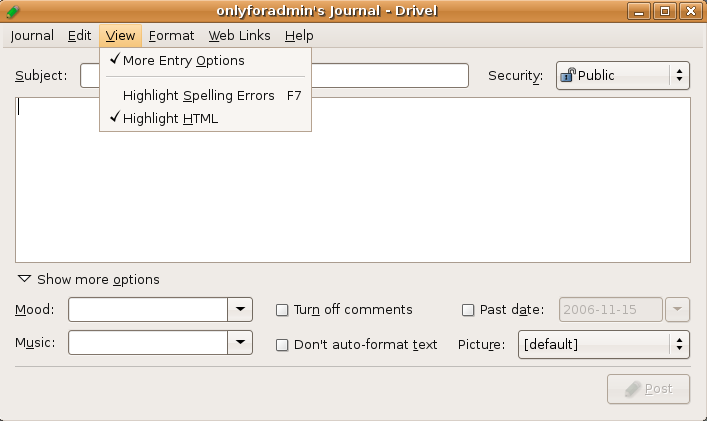 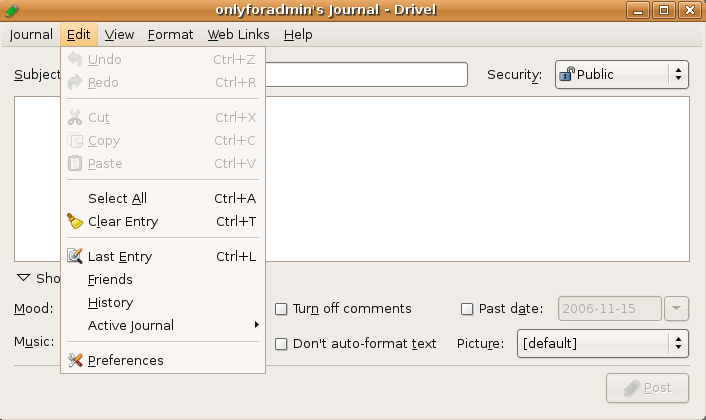 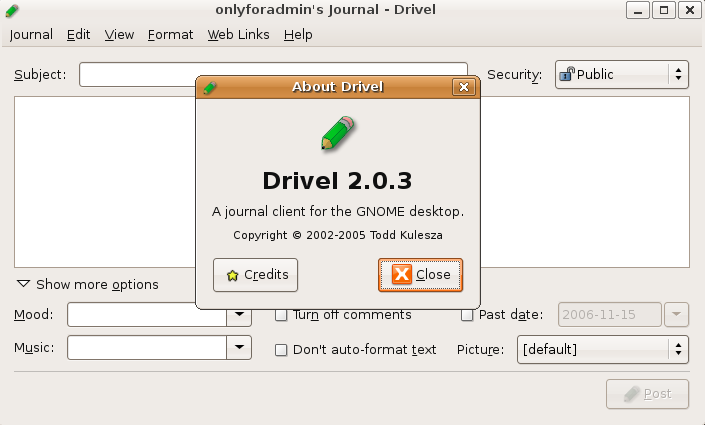 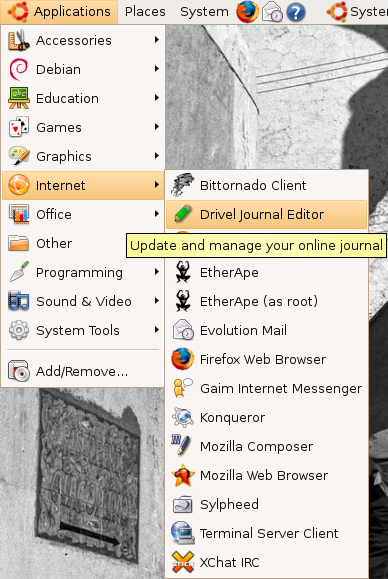 Drivel is a GNOME client for working with online journals, also known as weblogs or simply blogs. 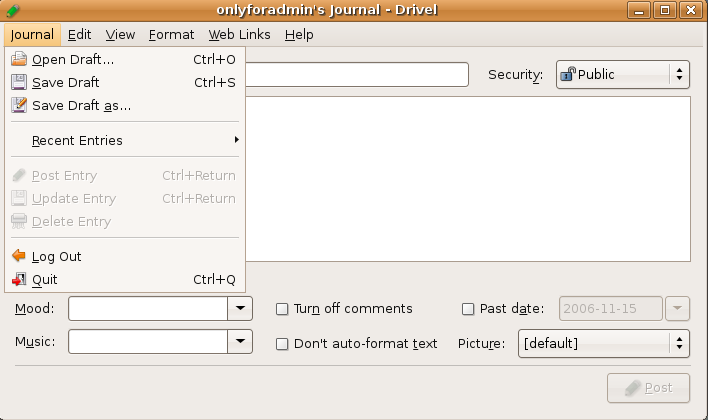 It retains a simple and elegant design while providing many powerful features. 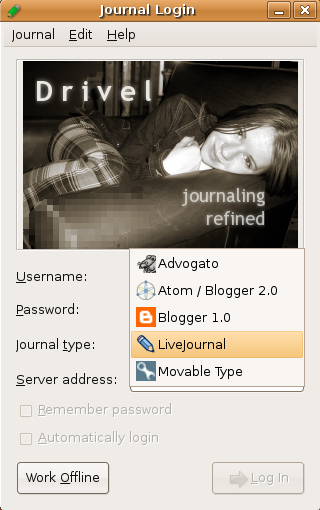 If you want to blog wordpress or Drupal you need to select MovableType as the Journal Type and enter the server address.For wordpress blogging you need to add xmlrpc.php at the end of your blog address.